The Defense Department will release its strategies on cybersecurity and artificial intelligence based on the National Defense Strategy in the next few weeks, Breaking Defense reported Tuesday. 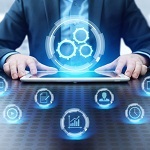 Thomas Michelli, acting deputy chief information officer for cybersecurity within the Pentagon, said during the CXO Tech Forum that Defense Secretary James Mattis is prioritizing AI strategies as they can help strengthen the department’s defenses against cyber threats. 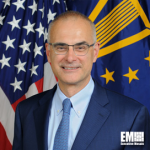 According to Michelli, adopting AI in the military will be possible through defense organizations that are capable of developing and managing risks in the technology. “We need to recognize, especially in cyber, that we accept risk everyday (already),” he said. The DoD official stressed that there is a need for the department to further innovate in AI to stay ahead of adversaries such as China and Russia.